Pam and I are doing well. 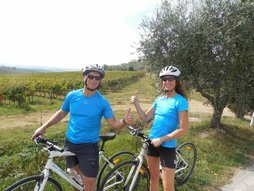 We told all our friends how amazing it was to bike Tuscany with your service. It was definitely the highlight of many years of travel for both of us. Your professionalism and your friendship was top notch. Thanks guys I had a great time! Marco - Dolomites look awesome and I hope to do them within next couple of years (next year might be a grand fondo in Barcelona or a grand fondo going up Ventoux) but definitely have added Dolomites to list and if I do make it back to ride in Italy it will definitely be with you guys! 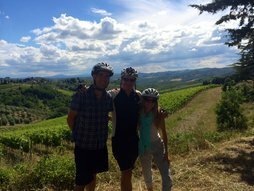 We are back home and now would like to thank you and let you know what a great, memorable experience we had on our Tuscan bike tour. The expert advice and bikes we rode were perfect. 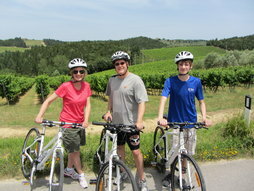 We loved the bike tour showing the beautiful Tuscan countryside, the stops along the way and the winery we visited. Thank you so much for the wonderful friendly support and experience. The restaurant, winery and other stops you selected made our experience extra special. 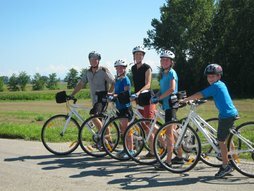 We would strongly recommend others, no matter what your bike skills are, to a single or multi day bike tour. 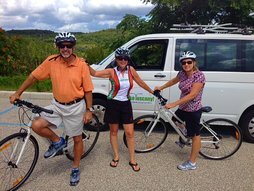 We are looking forward to doing another bike tour with you soon. We had the most fabulous time on our ride - it was a perfect day! 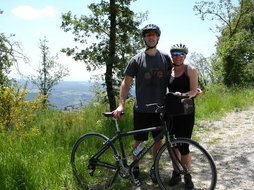 You are a great tour guide and this was a great way for us to see the beautiful Tuscan countryside. We really enjoyed the gelato making demonstration too. This was one of the best days we have ever had and we will never forget it! I attached some pics for you. 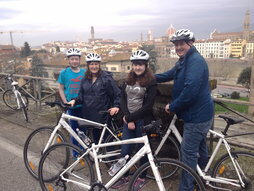 If we are in Tuscany again we will definitely book with you again. Thanks for a wonderful experience! We can't thank you enough for such an amazing time on Tuesday! Thank you thank you for everything! Your encouragement makes me want to ride much more and perhaps, race someday soon! We had a fabulous time and we will be talking about that experience for years to come. Hoping we can some day bring our kids on a tour.